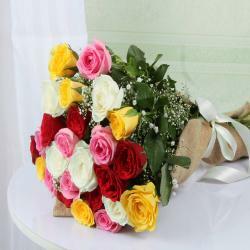 Product Consists: Arrangement of 15 yellow Roses in a Basket with a ribbon bow on handle. Have a look at this pleasing gift item which is available at our gift store. The gift is adorned with love and caring. It symbolizes innocence, purity and beauty. This gift item is perfect for gifting your spouse or someone special. 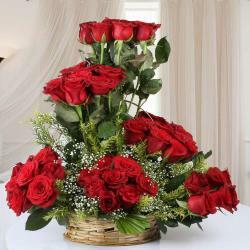 Let your gift convey your thoughts to the one you adore by gifting this amazing gift arrangement. 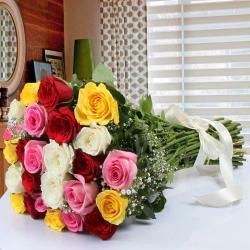 You can make them happy on different occasion like Birthday, Anniversary, Good Luck Gifts, Gudi Padwa / Ugadi, Daughters Day. So go ahead and place your order now. 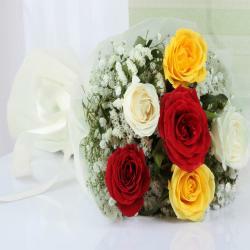 Product Consists: Arrangement of 15 yellow Roses in a Basket with a ribbon bow on handle.